To all the unselfish moms out there who traded eyeliner for dark circles, salon haircuts for ponytails, long baths for quick showers, late nights for early mornings, designer bags for diaper bags, and wouldn't change a thing. Happy Mothers Day! The moment a child is born, the mother is also born. She never existed before.The woman existed, but the mother, never. A mother is something absolutely new. Moms are guardian angels to us while they are on this earth..and when they go to heaven..they have that much more power to watch over us. A stepmother might have to rise above a little more than everyone else to make everything go smoothly and for everyone to feel comfortable. It's one of the nicest gifts they could give. Great Mother's Day is celebrated across the world in the honor of all mothers across the globe. Mothers play a very important role in the upbringing process of their children. Great Mother's Day is a way to make mothers feel special, loved and cared for. Children should make it a point to take their mothers out, shop for them, gift them valuables and make them feel special on Mother's Day. Mothers are the biggest sense of support for children. Mothers are efficient at multi-tasking and striking a fine balance between managing their family and work responsibilities. 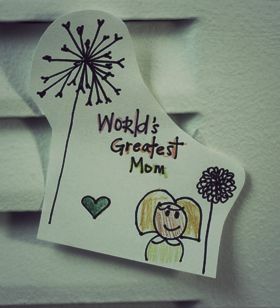 Great Mother's Day is just a way to acknowledge the efforts of all mothers who really stretch themselves to give the best that they can provide to their children. Mothers are the most selfless category of people who always believe in giving. It is the duty of their children to make them feel loved, special and blessed on the occasion of great Mother's Day.